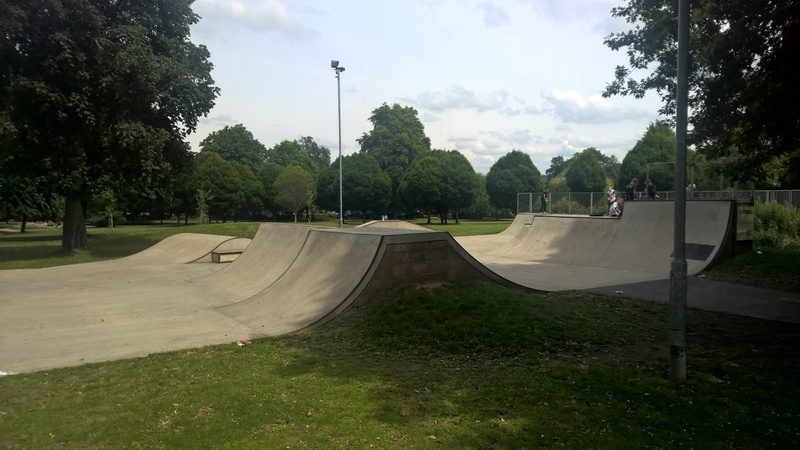 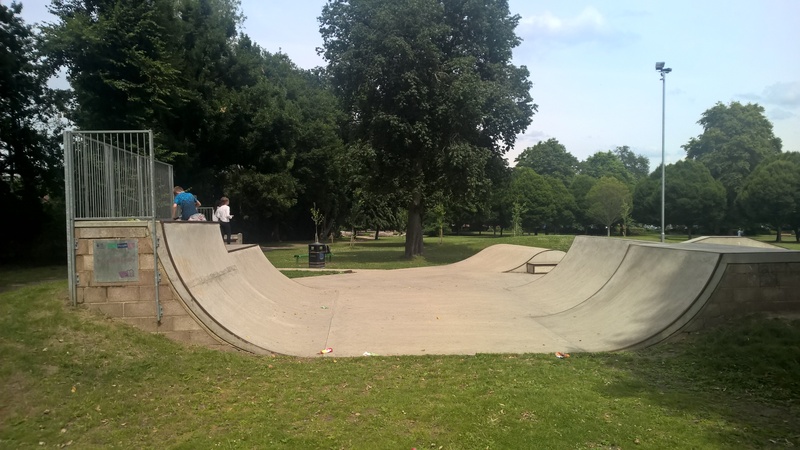 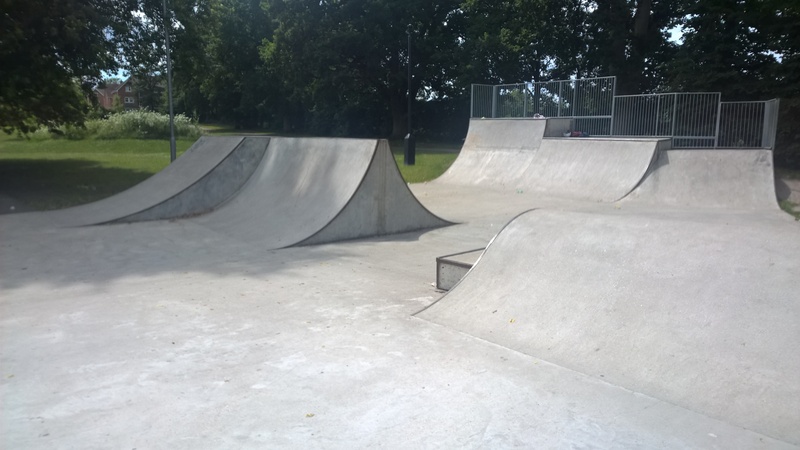 Aldershot skatepark was designed & built by Fearless Ramps and opened in 2013. 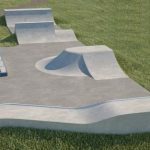 It is an all concrete park mainly holding transition based obstacles with some street elements thrown in. 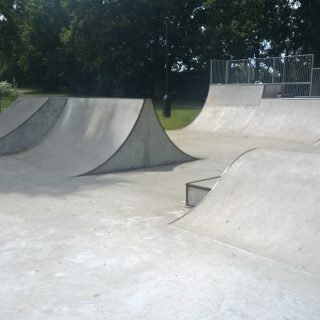 One side of the skatepark opens up with a long quarter pipe and a hipped bank which lead up to a jump ramp next to a spine with a manny pad. 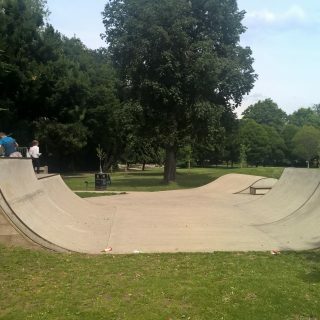 It also leads onto a roll over that followed by a funbox with a hubba. 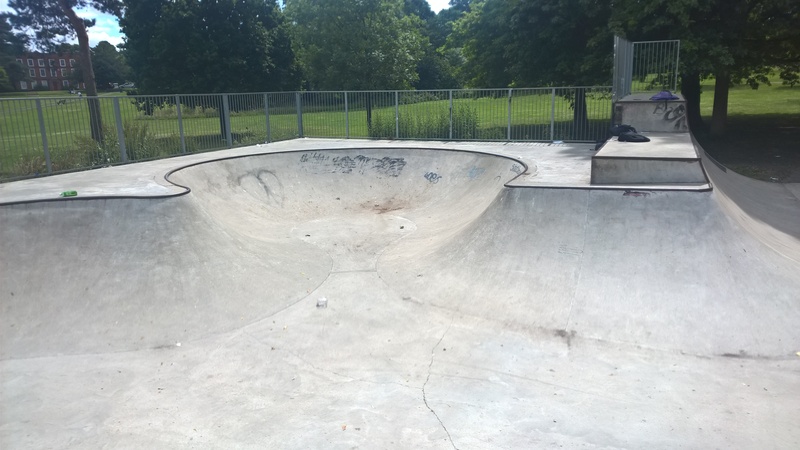 The other side of the skatepark features a speed bowl with bowled edges leading off the side to form return ramps to the main body of the course. 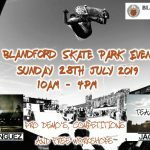 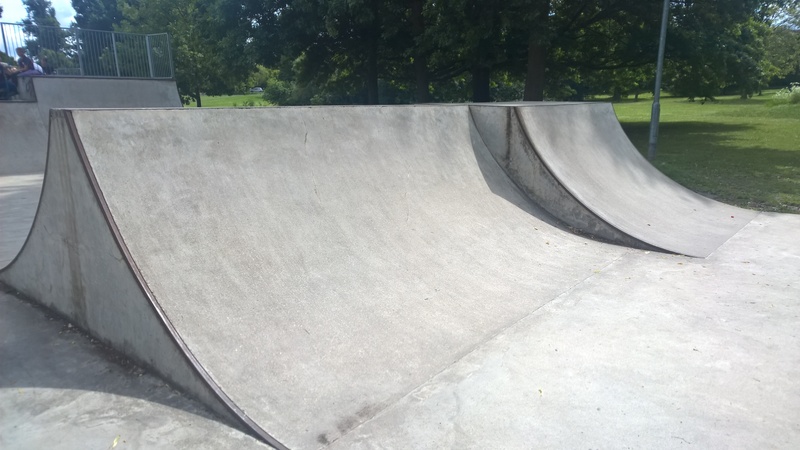 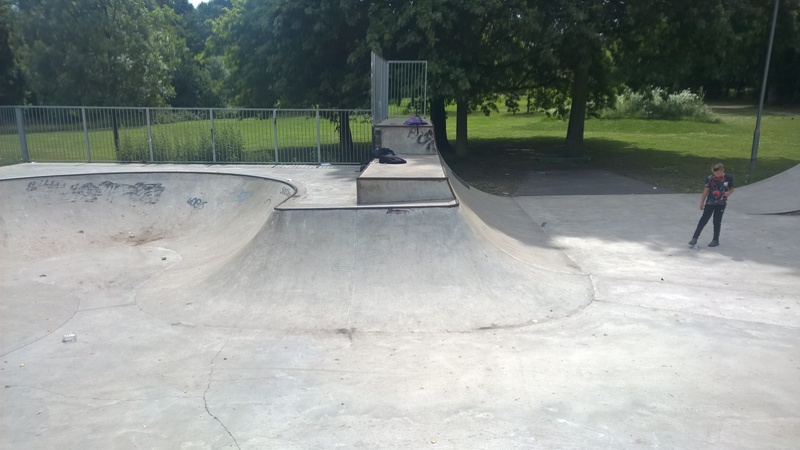 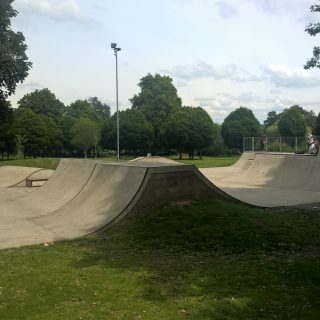 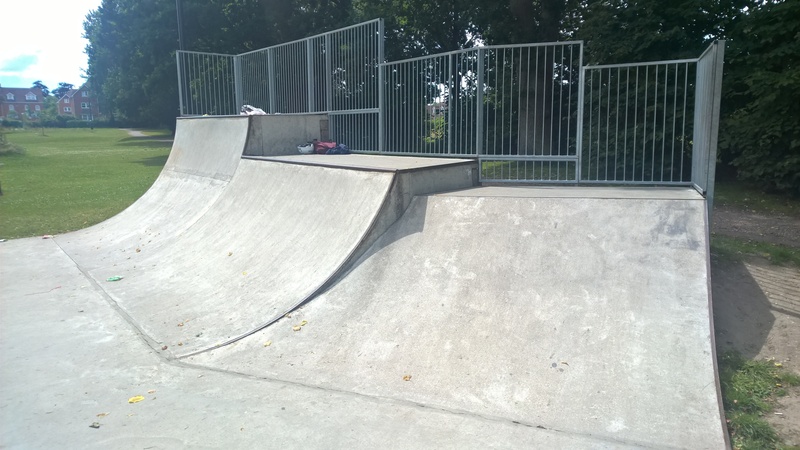 Aldershot is a great local skatepark with smooth surfaces and a nice selection of obstacles. 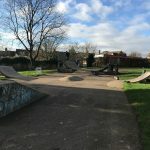 It has something for every whether you are a beginner or a more experienced skater and should be checked out if you are in the area. 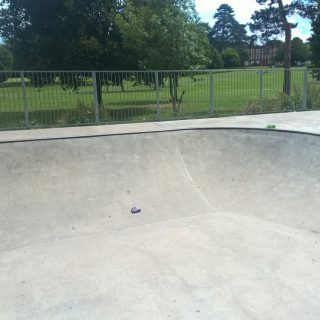 Aldershot train station: Exit the station and cross over the rail bridge, exiting on East Station Road. 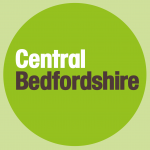 Follow this road until the end where it meets St Michaels Road and turn left taking this road until St Georges Road East is on your right. 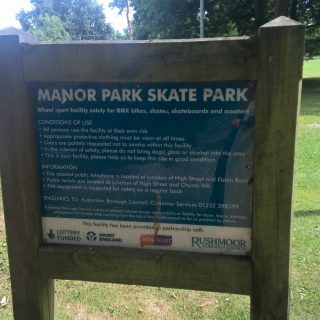 Follow this road until the end and Manor Park should be in sight, here is where Aldershot skatepark can be found. 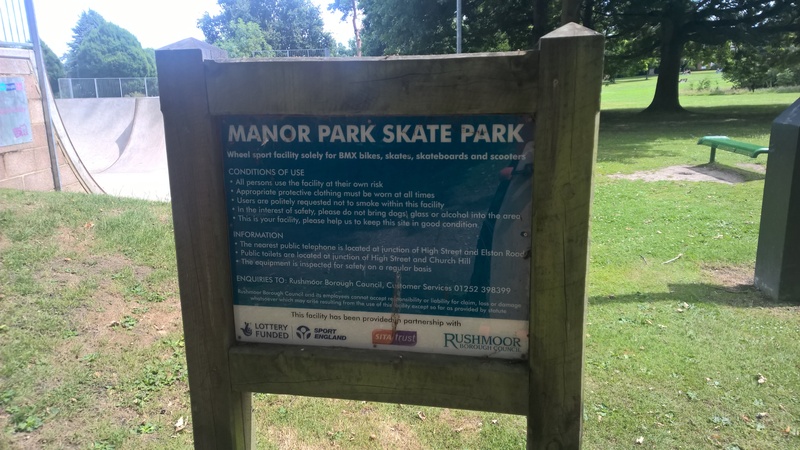 Manor Park bus stop: Exit the bus onto High Street and Manor Park will be in sight. 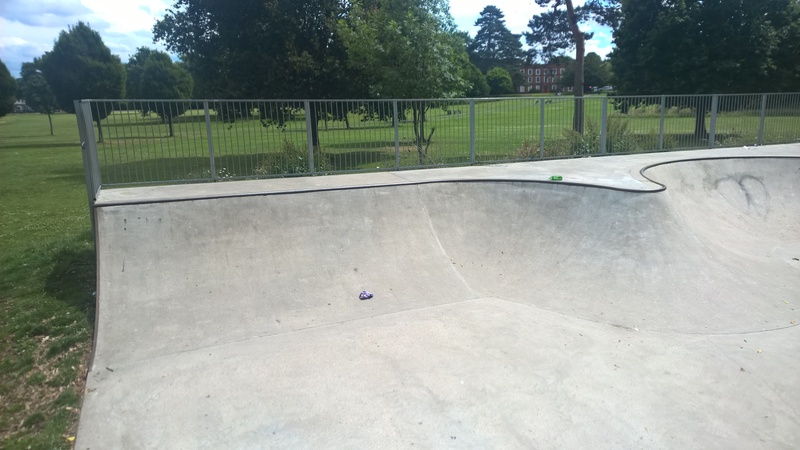 Here is where Aldershot skatepark can be found.